Boost your cleaning power by using the cleaning products with the best performance. 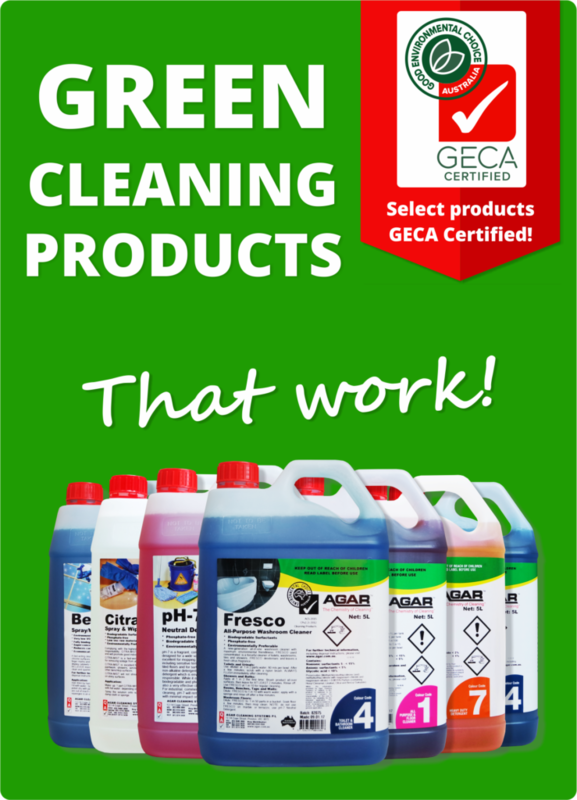 Renowned throughout the cleaning industry for their high concentration, Agar’s chemicals are packed full of quality ingredients. This means that they dilute further, work harder, improve the staff productivity and provide excellent value for money. Backed by quality service you can count on, Agar’s 50 years experience formulating cleaning products and working on the job with cleaners has taught it a wealth of knowledge that it happily teaches it customers. 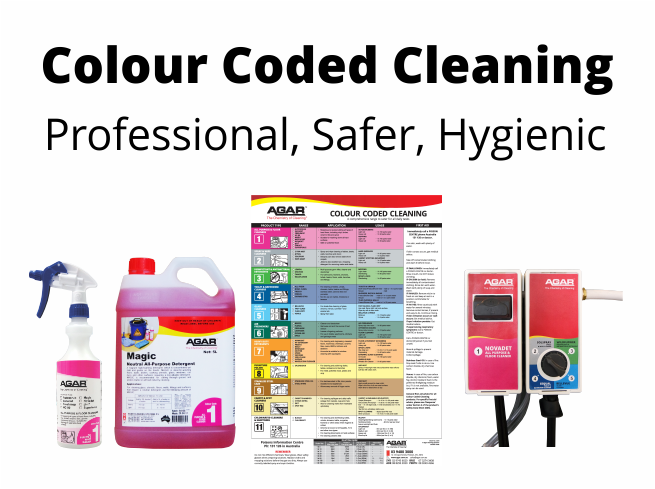 If you’re looking for a cleaning product supplier that can actively problem solve your cleaning issues and recommend the right product for the job, you can trust Agar. Comply with OH&S easier with Agar. Each product comes with a range of OH&S documentation to take the hassle out of paper work. Documents include Safety Data Sheets, Product Data Sheets and Risk Assessments along with Chemical Substance, Hazardous Substance and Dangerous Goods registers for you to keep track of everything kept on site. Free walls charts and cleaning task sheets are also available.